Inspiration comes at odd times and in odd places: for example, there I was in Yuma of my own free will. Drinks were involved and I was hanging with a wild crowd of historians at the Arizona History Conference, last April. Our collective IQs were shooting up higher and higher until we were all hovering into the mid-double digits. Like historians everywhere we were complaining about the low IQs of everyone not associated with history. Somebody said, "Right as rain," and another historian said, "I'm your huckleberry." 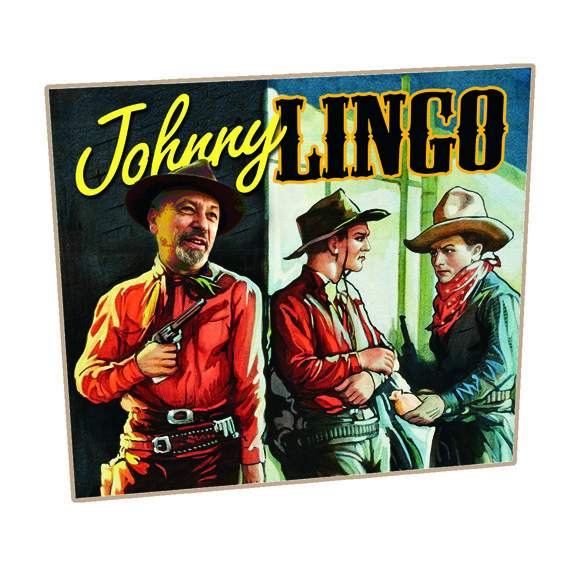 That's when my friend, John Langallier, said, "You need to have me do a linguistics column where I explain to your fine readers where Old West terms come from." Much to his surprise, I agreed on the spot. The late, and great, Paul Cool (it was his last conference) told me I "was off my rocker." 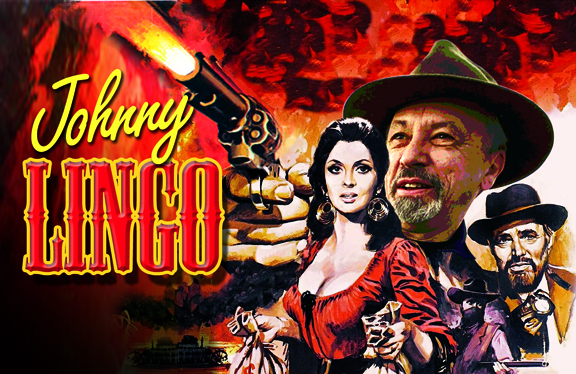 Hutton chimed in that I was "one brick shy of a load," and I agreed, and told John those are exactly the kind of sayings and words Johnny Lingo needed to talk about. So, I came back to Cave Creek and assigned Dan The Man Harshberger to come up with a spiffy logo for the proposed column. Dan did two. This is my favorite. "Finding the right word is the difference between lightning and lightning bug." It'd better be the Real McCoy and not a Pig in a Poke!